Almiral de la font, meaning "admiral of the (water) spring", enjoys huge grounds whose grapes are used for Freixenet, Cordoniu and other local cavas. 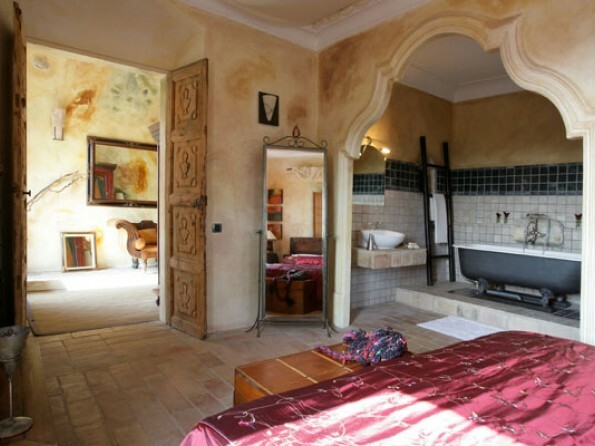 Amongst the 14 kilometres of private tracks you will also find pear, olive, cherry, walnut and almond trees in addition to many naturally growing herbs and vegetables (asparagus, rosemary and mushrooms). The house, a protected building and fortified masia, was built before 1592 and was extended in 1800. It has been and continues to be a significant landmark in the Garraf area and was formerly used for winemaking and farming. 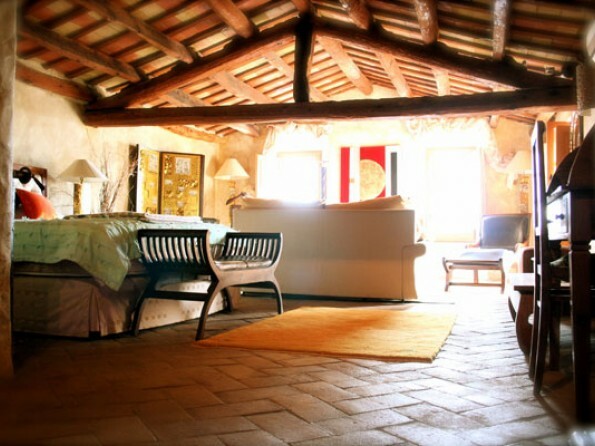 Though totally renovated and adapted to a high standard of modern comfort, the original details have been preserved, in particular the wine presses and bodega. The windows have been enlarged to allow in more natural light. Balconies and terraces have been added. The beautiful beaches of Sitges are a short 10 minute drive away. There are 17 different beaches along the 4 m stretch. 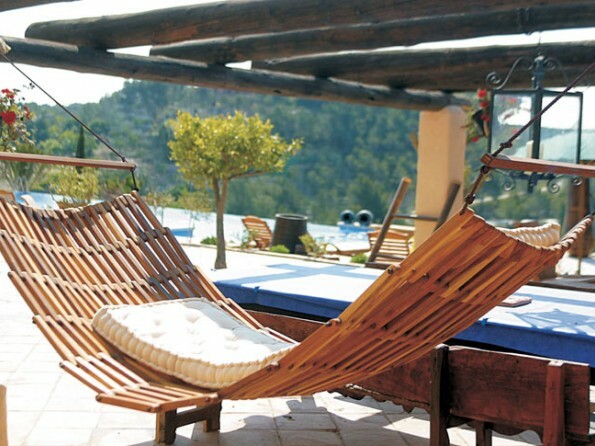 Beaches in front of the main town have sun beds, umbrellas, showers, bars and pedallos available. Barcelona is only 30 minutes away and is best known for its Gaudi architecture, pulsating night life and avenues for strolling along. There is plenty of family fun, with an excellent aquarium, IMAX cinema and shopping malls. Only 45 minutes away is Port Aventura, the second biggest theme park in Europe. Set up by Universal Studios, it has one of the fastest roller coasters and rides for all ages. The Garraf Park is one of the best nature parks around Barcelona. The park has excellent walking or biking paths, and is a highlight for anyone interested in wildlife. Some of the best European golf courses are easily accessible from the masia. A substantial private residence with a living area of over 1300 square metres, allowing you as much space and privacy as you like. 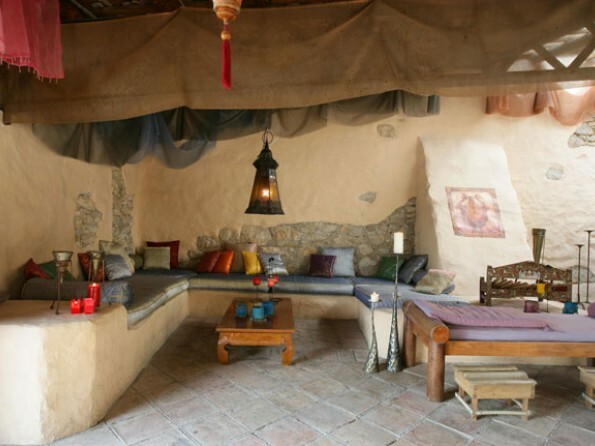 4 suites with 2 or 3 bedrooms and each with king-size beds and double sofa beds. 4 twin/double rooms. Further suite with king sized double bed and double sofa bed in seating area. All bedrooms and suites with en suite facilities. Maximum of 24 guests in main house. Daily house cleaning (six days a week) is included. There’s a fully equipped modern kitchen, a Scandinavian fireplace lounge, a TV lounge (with satellite TV), a surround sound plasma screen home cinema, a games room, a wine cellar, a conference / meeting room, a banquet room, a snooker / pool room, and a children’s playroom. The house is partly air conditioned and centrally heated. There is also a self contained cottage available sleeping 4 (price on request). Large tiled courtyard / BBQ area with palm and citrus trees and Moroccan lounge providing welcome shade. Over 300 acres of private grounds with 14 kilometres of tracks in which you will find large areas of vineyards, olive groves and fruit trees. Sea views from 200 meters altitude onto the coastal resorts of Sitges and Vilanova Y La Geltru. There is an 18.6 x 6m solar heated swimming pool, as well as a children’s pool, ample outdoor furniture, a table tennis and basketball net and gated car parking for over 12 cars. 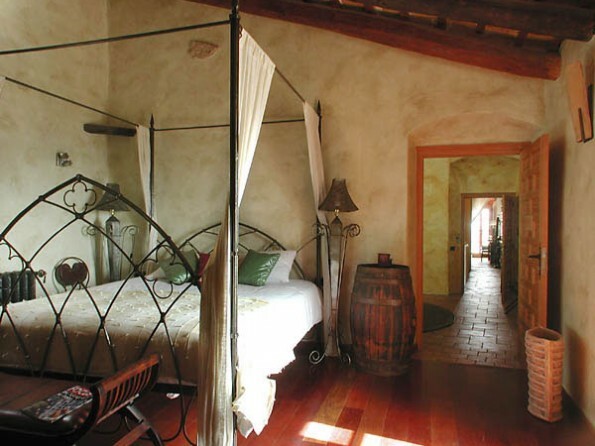 Set high on a hillside in the Pinedes wine region, the masia is surrounded by the Garaf National Park and offers dramatic sea or mountain views from every room or terrace. 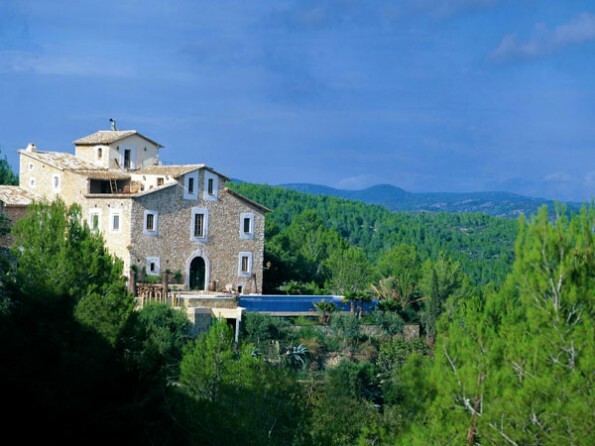 This tranquil haven has more than 300 acres of private grounds with vineyards, olive groves and fruit trees, yet is only a 30 minute drive from Barcelona and 10 minutes from the lively beach resort of Sitges. 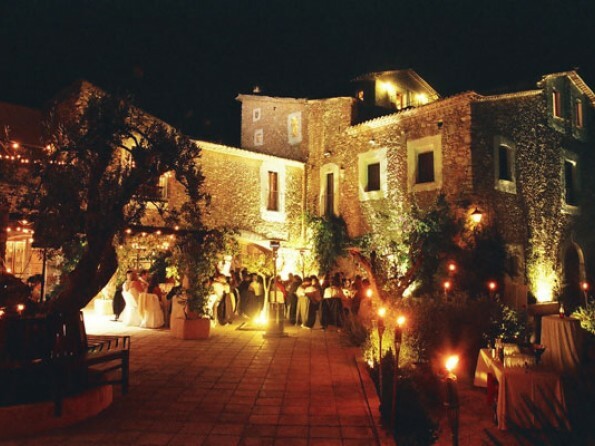 This historic masia is ideal for families and corporate groups, and for occasions such as weddings, filming and production launches. 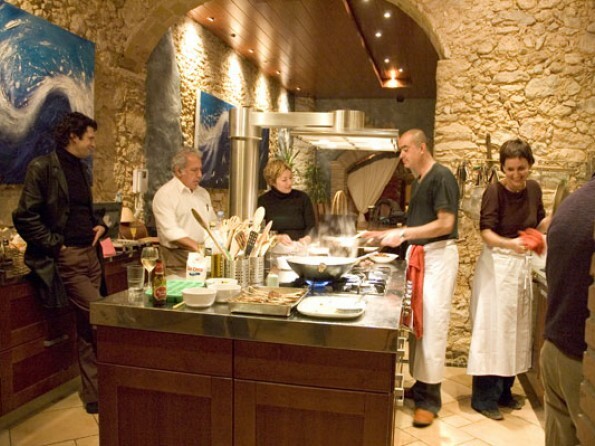 Almiral de la Font's location provides easy access to a variety of things to do and see. It’s just 2 km to tennis club, 6km to golf course (4 other courses within 30 kms), 3 km to riding club, short drive to wine and cava cellars. Sitges has many festivals all year round. Mountain biking and hiking from your doorstep. Painting in peaceful quiet and seclusion.